What is the SPAW Protocol? What are SPAW’s areas of focus? How can SPAW support my marine biodiversity work in the Caribbean? How can I apply for Small Grants from SPAW? What are our recent achievements of SPAW? How many countries have signed/ratified the SPAW Protocol? What are the benefits to countries who ratify the SPAW Protocol? How can my country ratify the SPAW Protocol? A regional agreement for the protection and sustainable use of coastal and marine biodiversity in the Wider Caribbean Region. Our SPAW programme supports countries to implement their national obligations under the SPAW Protocol. What are the recent achievements of our SPAW Programme? 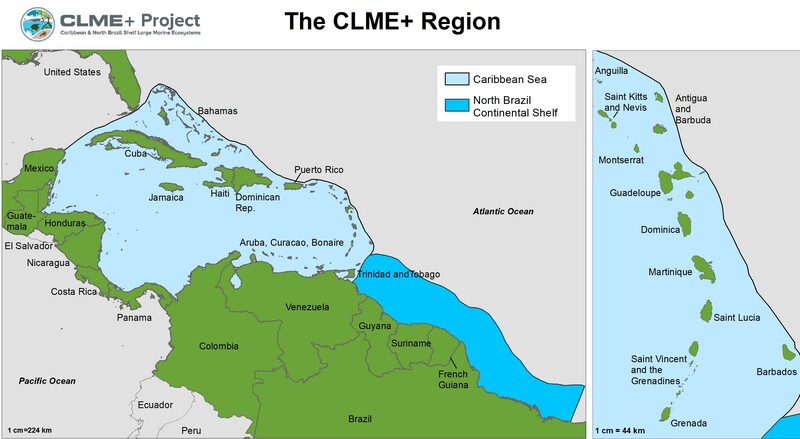 New sub projects with 1) the MesoAmerican Reef Fund (MAR Fund) for the project "Innovative financing and legal mechanisms for reef restoration and emergency response in selected sites of the MAR Region” under the ICRI/UN Environment Grants Programme which is a joint initiative of the International Coral Reef Initiative (ICRI) and UN Environment (signed in May 2018); and 2) with the Caribbean Natural Resources Institute (CANARI) under the CLME+ Project for the Development of a State of the Marine Habitat Report and Regional Strategy and Action Plan for the valuation, protection and restoration of key marine habitats in the CLME+ region (signed in August 2018). Please see complete list of countries who have ratified here. What are the benefits to my Government by becoming a party to (ratifying)* the SPAW Protocol? *Ratification is the process when Governments formally sign on to a regional or international agreement and commit to various national obligations. Consult with other government and non-governmental organizations about the importance of ratification. Prepare justification letter for ratification. Obtain cabinet /parliament approval for ratification. Submit instruments of ratification to: Ministry of Foreign Affairs in Colombia. If you have a specific request or question about the SPAW Programme and Protocol, please contact us at rcu@cep.unep.org.